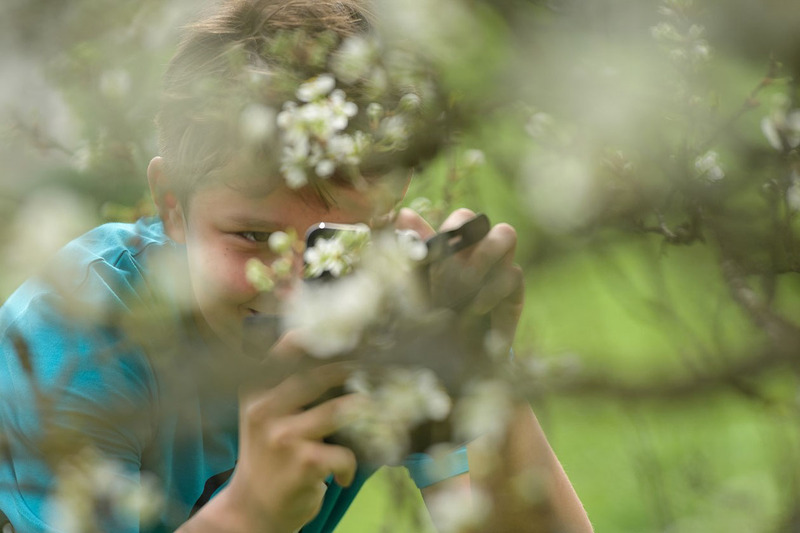 LIFE Bison project in the Southern Carpathians reconnects children with nature through a photography course for over 100 young members of the Life Bison school clubs. About a month ago I was challenged by the bison rewilding team to run a short photography course for over 100 young members of the Life Bison school clubs, located close to the Southern Carpathians rewilding area. The assignment soon became far more than just teaching kids about the technicalities of taking pictures. My love affair with nature started when I was just a child, leafing through the dusty pages of an old zoological atlas. Filled with spectacular images of wildlife and landscapes, it was inspirational and aspirational. I wanted to plant the same seeds of love and curiosity for natural wonders in the kids that I was about to teach, so I decided to devise a two-stage course that I hoped would act as their very own zoological atlas. What’s the life of a photographer all about? Where can it take you? And what do you do to become a photographer? What are the guiding principles, the basics that remain ingrained no matter what kind of equipment you have or where you shoot? I summed it all up in 10 words: Subject, Light, Composition, Creativity, Moment, Adjective, Sensorial, Spectator, Challenge and Perseverance. During classroom sessions with each of the five clubs we worked to deconstruct my life in pictures through the lens of these 10 simple concepts. 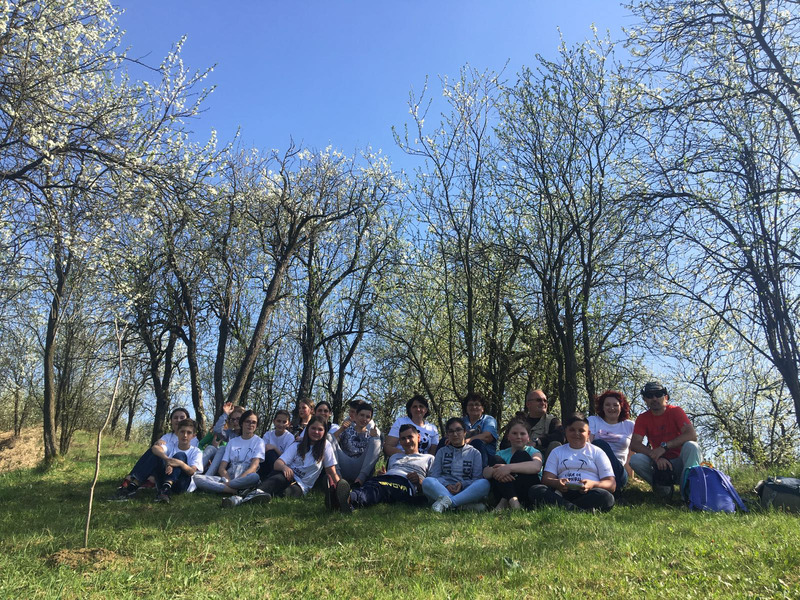 After a bit of inspiration and not too much theory, the kids went out into nature to practice what they’d learned, hunting for the best subjects in their beautiful backyard – the foothills of Tarcu and Poiana Rusca Mountains. I was really impressed with their willingness to accept any challenge and the way they interacted and asked questions. For us all it meant leaving our comfort zone. It was truly inspiring to rekindle my childhood curiosity through their young eyes. 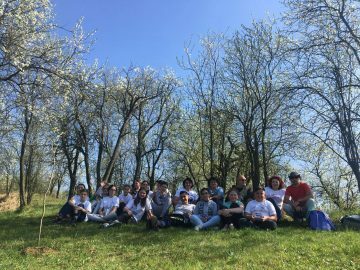 Five schools in Romania are now running an Active for Wilderness and Bison club (TANZ) for children and youth. We set a common goal for the children, a platform for their curiosity and photographic endeavours: to put together a travelling exhibition where they would be our eyes on the wonders of the rewilding areas. We started off with a small competition and five photographic assignments where they voted for the best work on Facebook. These assignments were simple and broad, close to nature and village life: flowers, portraits, landscapes, the farm and animals. I found that setting a goal for the kids to work towards and giving them a sense of purpose was really important in encouraging them to discover nature photography and keep the excitement alive. The resultant exhibition will travel far from the Southern Carpathians, at various events organised by the Life Bison team, and far closer to home too, in each of the five schools which have established an Active for Wilderness and Bison club (TANZ) as part of the LIFE Bison project. I am so grateful to have been given this challenge. It took me out of my professional routine and gave me a chance to instill in the future generation my number one guiding principle: photography is the only way to shoot wildlife over and over again; a chance to document and study its beauties and complexities without destroying it, and a chance to show the world those subtle gems we, as humans, can’t live without. I am so lucky that my daily work can make a contribution to this principle. But most of all I am lucky because I have experienced so many of the places and natural wonders that I first learned about in that old zoological atlas. If only half of the kids that I met in those photographic classes manage to feel the pure joy that I have experienced in my life’s work, then my mission will have been a success.